The official announce came out in Dec 2015 and in few months has become concreteness. Apple is looking forward to don’t lose too much margin in the challenge for offline shopping through mobile systems in the most dynamic scenario for mobile’s payments, e-commerce and online app designed for mobile users. China is already the second largest market for Apple about sales of devices and the decision to sign agreement with Union Pay’s circuit represents the way that the company must follow to be competitive with important players like Tencent in China. 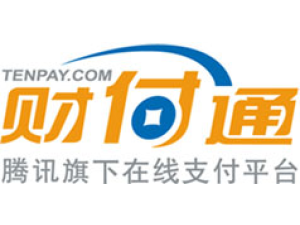 At the moment Apple already achieved authorization from 18 operators and it seems that more than 80% of chinese credit cards and debit cards in China can be used for digital payment through Apple Pay system. Apple well knows that chinese perception of mobile -devices is totally different than in US or in other western countries. Chinese way of using mobile is much more integrated with several specific applications according with specific segments of “offline – life”, strongly directed to O2O issues in particular for those concern shopping and entertainment. 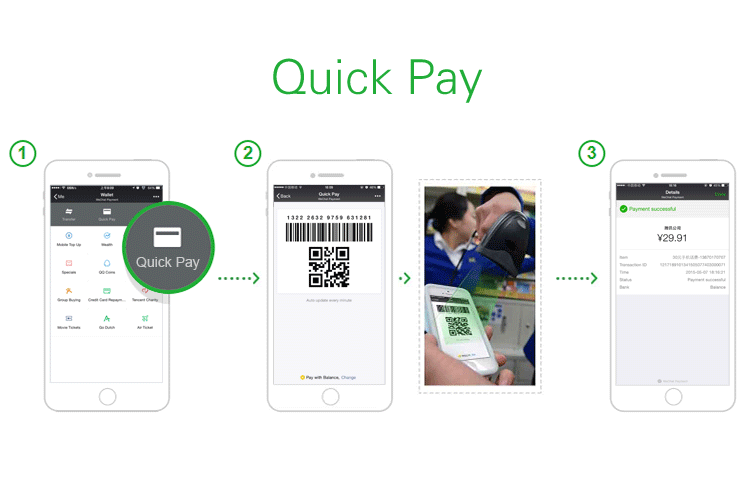 In China approximately 60% of daily expenditures are issued through digital wallet integrated in the mobile device, an important and huge segment if compared with USA where only 19% of transactions are made with payments via mobile. Within apps, Apple Pay purchases can be made using an iPhone or iPad that supports NFC, which includes the iPhone 6 and later and the iPad Air 2, iPad mini 3, iPad mini 4, and iPad Pro. Honestly I think that Apple Pay is not an “on time’s solution” for via mobile’s payments in China. The decision has been made to try to keep Apple – lovers and users on the good mood following their loyalty for Apple brand much more than to win the fight with other chinese operators like Alipay and Tenpay (same ideator of wechat). Wechat got more than 590 million of active daily users and approximately 650 million of registered users in China according with last data statistics published on official bulletins and represents at the moment the best application for instant messaging. Recently it has integrated e-commerce system based on that we can define “social commerce strategy”. It means sell directly to your followers and friends making your business direct, easy, safe and enthusiastic like the chinese way to sell goods in the “pre-digitalized era – before 2010”. On this way the instant messaging app makes businesses under direct influence of social media joiners and the businesses viceversa are directed and, why not, directly created by people are close to you, following your pages and products through wechat. The chinese perception that all in one, all is online and everybody are online is strictly connected with mobile’s usage: the info about offline products are collected through the web via mobile or directly through e-commerces platforms, the word of mouth about brands or styles is boosted through chat, messaging, microblogging, you choose online what you want to buy offline and you made the payment with the same tool you are using to discover and define the shopping you are going to do: the mobile. That’s why I think that Apple awareness of the risk on being far away from this “environment” is much more looking forward to consolidate their brand strategy with devices that can pay directly shopping items and being on this way part of that deep consciousness in chinese people for mobile ias the source to be connected to the world. 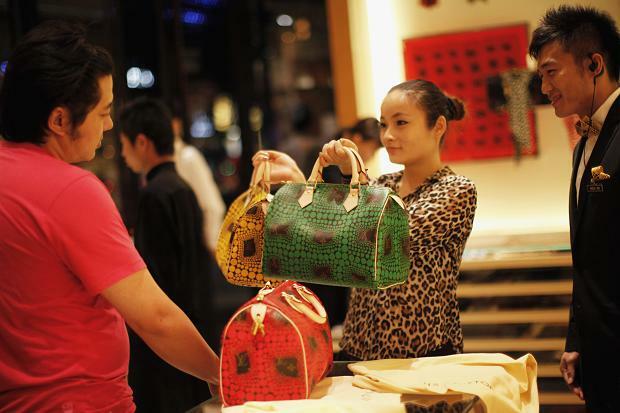 If customer – target for luxury segments in China is much bigger than its counterpart in US , it means that society is still growing up towards new era for consumptions that makes two different middle classes facing with the market : approximately 110 millions of chinese are going to represent the new upper middle class with specific “commercial identity” that’s clear representation of new awareness about products and quality in particular in terms of substantiality. It’s like how we are passing from the commercial equation for middle class that was used to say “foreign brand = cool = prestigious = not for all = I must have it” toward much more consciousness for foreign products and in particular for their ” substantiality” as crucial point to define characteristics like quality, tradition and luxury. That’s why two specific ways of doing advertising and promotional campaigns are characterizing the commercial scenario in China for those segments that concern fashion, luxury and design for example. 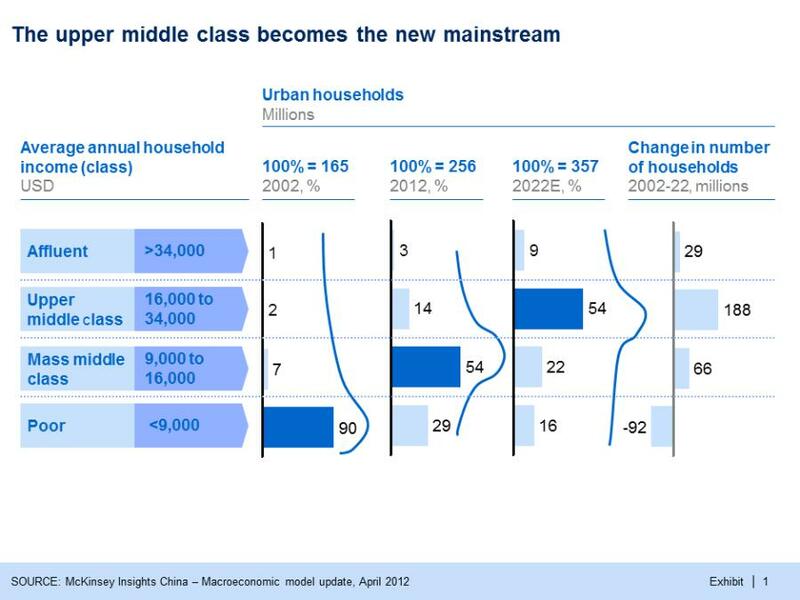 If we are choosing as potential target the new upper middle class (that according with McKinsey’s analysis is growing for 12% on annual base and it registers as household income more than 35.000 dollars x year) we should consider that we are dealing with mature customers with international vision and high-competence in purchasing. This segment will go probably over 160 millions in the next five years and it will improve household income reaching peaks of 40.000 dollars. They are people aware of their status, and their style is basically going toward something of “well characterized”. Maybe they discovered european brands in some multi brands stores during their leisure travels in Asia (Hong Kong, Singapore, Macao, Japan, Korea) and now they are much more interested to buy products that have something to say beyond the logo. It represents a good opportunity for those operators that maybe even they got good placement on international commercial scene with specific distribution they for sure didn’t have the funds to be a well-known world-wide label. History, own identity but also care about renovation of distinctive features in step with time’s changes are elements which strategical plan for marketing toward upper middle class must be focused about. Events. The scenario where upper middle class is proud to show and communicate own goals is the world. If you are not part of this world you cannot be part of their life. Don’t waste time of improving distribution’s channel if you are not ready to support him being present beyond the campaign to launch new products. We’ve already seen a lot of “cathedrals in deserts” in China, some investments for launch of specific brand or nee jv with chinese potential distributors never followed by specific and intense mission aimed to be in the market with consciousness of communicate own features. Our Made in Italy is for sure good horse to ride but now more than ever we need to show that’s not only a “logo” if we want to be one of favorite purchases by chinese middle class. Chinese direct investments in Europe are reaching a peak in terms of volume and definition of specific sector of development. The target market has been recognized as UK and the operative frame for investing operations are for sure real estate and infrastructure fields. Comparing with Beijing, London is still cheaper as long as one of most dynamic markets for those aspects may concern financial services, M&A operations and fiscal benefits for foreign investors inside EU area. 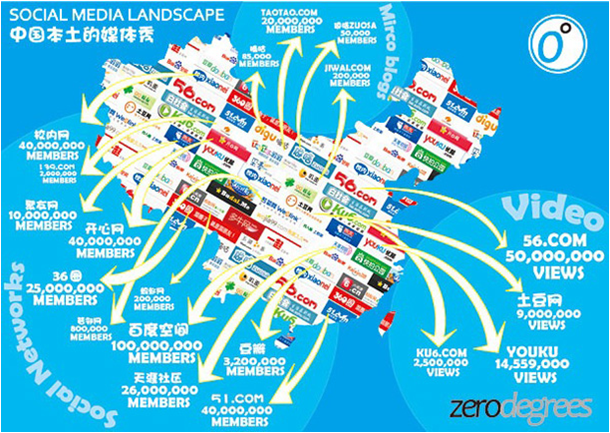 China has defined the perfect place to create a network of big players involved on mutual business. The Industrial and Commercial Bank of China for example is going to invest more than 650 millions of pounds to create new business district near Manchester’s international airport: the project that inaugurates new direct flight from Manchester to China and viceversa, includes 500 thousands sqms of offices, shops and park. The chinese way of making something concrete from theoretical base follows usually a pilot-scheme: if investment’s plan or structural reform or whatever put in pro-active agenda for chinese operators will have be done with successful results according with preliminary expectations, for sure there will follow more operations on the same way, going to create a perfect standard of action. 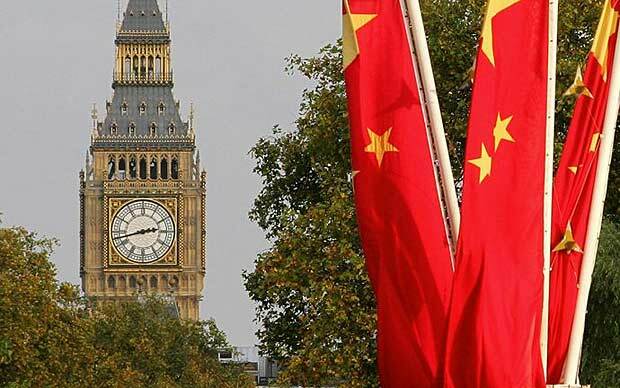 The dynamism we are seeing around UK represents an intense pilot-action for direct investments towards a country and for those particular fields that are functional for chinese strategy: they are boosting concrete presence with well framed operators from key-sectors in Europe. An important building constrution’s company like the Advanced Business Park, is investing in London nearly 1 billion of pounds to build the new HQ of the chinese group in Royal Dock near the city airport: so the equation is pretty clear: they are chinese companies working for chinese groups on foreign markets. Italy is the second manufactural player of Europe after Germany, and it’s also one of most important area about twinning projects for R&D in Europe and ToT (transfer of technology) for China (ranked as third european country on transferring technology towards China). 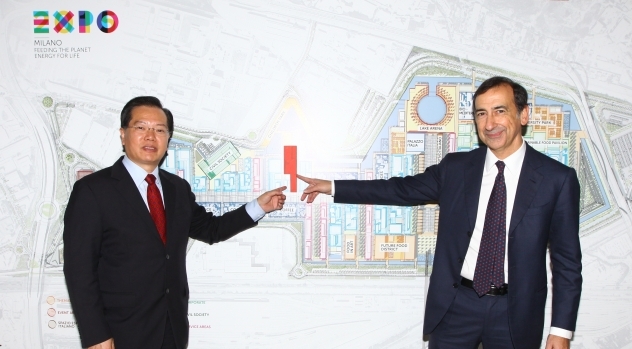 Milano EXPO got crucial role in terms of building a common interest from chinese investors about Italy (China Entrepreneur Club is only one of most recent example), and the connection between Shanghai EXPO and Milan EXPO is still part of institutional speech for the chinese class-action about commercial and development’s opportunities in our country. It’s for sure important to say that something is changing in chinese perception about Italy recently: governative actions are going to made developments that are “welcoming foreign investments” and political reforms are looking much more at “european dimension” with its specific parameters of operation; even if China has been always an active player to sign bilateral agreements much more than regional agreements (so they’ve been always interested to consider case by case specific actions according with contingent situations of each country in Europe than mediate with EU as geopolitical and economical institution) recently they are moving from Import- dimension (as requested by Party in last Five Years Plan) to wide strategy for direct investments worldwide in strategical assets. That’s why London represents the gate for continental Europe. It’s news of few days ago the making operative of branch of ICBC – The Industrial and Commercial Bank of China in Rome, after Milan; they are going to be concrete support for financial and commercial operations in south of Europe for chinese clients and they’ve chosen for Italy as place to be to make that bridge from London longer towards strategical area in the centre of Mediterranean. 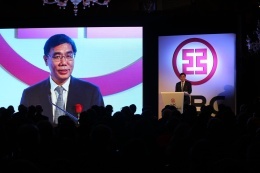 (before Italy the ICBC already made operative more than 15 branches in Africa). Even if there’s big part of political opinion in Italy that is figuring out this operation as chinese colonization of our productive and financial environment, I warmly suggest to these speakers to analyze what’s happening on international scenario for those aspects concerning commercial agreements (TPP and TTIP), it’s a concrete, wider perspective where Italy as “no-Europe” will never exist anymore: such scene (it doesn’t matter if you like it or don’t) confirm the primary role of China and, in particular, of chinese market on influencing stability of any productive area in the world; chinese investments are supporting (if we can say it in this way) government debts and they have central role for their assets acquisition strategy in many important groups worldwide. I think it would be much more better for us trying to understand this strategy and facing with chinese investments with skillful awareness about the entity of these operations than shouting against new colonizers who will get for some reasons 30% of the world already in terms of assets control and market volumes in approximately 10 years. (in particular if TPP and TTIP will continue on getting delayed). It’s common for marketing advisor to spend some hours x day on researches that may concern strategies on providing business services for specific market’s segments trying to figure out the method which companies consolidate their brand / services with promotion. I decided to put on comparison some important players involved on services for tourism and I’m not only referring about tour operators but I’ve also included in my prospect some national agencies (government) that operate in tourism industry like JNTO (Japan National Tourism Association) or Official Korea Tourism Organization. Usually such kind of public agencies are mainly focused on attraction of foreign tourists toward their countries so they are well specialized on own territorial marketing. But if we consider the contents introduced through their websites about Milano EXPO 2015 in occasion of announcements about delegations or packages for business groups we can understand how promotion of Italy, in particolar of Milan, boosted following some key- value points, has been adopted by these agencies as functional method to make on focus some features of their country. 1) History: Italy represents for asian users the center of Europe for that it may concern its origins. Rome for example is one of most important cities in the world for chinese political representatives and it’s considered the valid scenario to introduce bilateral issues (China – Europe) due of long history generated by roman empire and chinese dynasties in two part of the world that for long time have been considered like yin and yang of our globe, west and east. Lot of delegations are coming to Milan to present territorial focuses during EXPO and on doing so they are also introducing new cooperation’s opportunities in some specific areas of fresh developed China. We can easily understand as Milan EXPO well combines in its programs and entertainment’s structure some high value elements like history, creativity, quality, and of course food (introduced by main topic of Expo like energy for life and for the planet) that are featured as default’s contents in many strategic plans of companies and agencies specialized in services for tourism. Thanking of this combination of elements we’ve been able to reach immediately great target of diversified users like those, in particular from East Asia, want try and enjoy Italy in the shape they always studied, imagined or, why not, tasted even only once in their life. Milano got the big opportunity to experiment how to make this big structure (EXPO) moving ahead for 6 months with participation of well framed operators and cooperation of public offices with private organization and thanking concrete action boosted by all social counterparts for the first time we improved the awareness of potentiality that such diversified structure and skills put in sharing can offer to our Nation and economy. Now we have to continue to consider that to re-launch Italy we needs definitely an organic system for tourism and hospitality in general where cooperation with strategic segments can be a fundamental base to provide high level services and meet international needs. As consulting company and no profit organization i’m in charge of we are following this perspectives on two different ways. About business solutions we are developing marketing events inside some prestigious hotels in Milano making as main target of the program international guests. At the same time we are boosting international participation for those aspects may concern creativity as key value for italian economy in particular for Milan city. Recently we produced international cross cultural contest in cooperation with Milano Expo and during the Gala Night for the assignment of the awards we introduced a new board aimed to concentrate and develop proposals about youth international creativity in Milano. This group of creative personalities joined for the constitution of Charter of Values for Youth Creativity that has been presented to the institutions which are aware of our intentions for creation of cooperation’s network on this theme. We are already planning calendar with productions and contents starting by september 2015 and we’ll follow the mentioned strategy to assure international participation as featured characteristics of our agenda. Probably, as common perception, the range of international participation to next Milano EXPO 2015 is still lower estimated in terms of affluence and business appeal by investors and international operators. 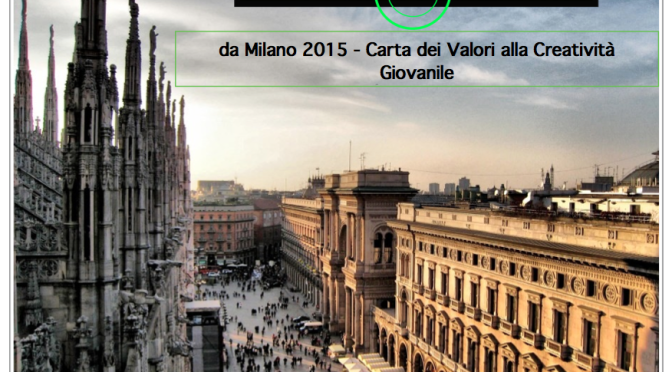 For sure I think we need to improve some structural elements in the event’s management and co-related services, in particular for that regards Milan City’s transportation system and facilities for participants (over 20.000.000 joiners expected in approximately 6 months). This ferment is well expressed by number of tickets already sold by official agents and network that cooperate with Milano EXPO 2015, as reported officially for something like 900.000 tickets sold in China. In such scenario I firmly think that companies operating on tourism and hospitality as well as service providers for business development, private equity and international business ventures that are already planning to develop some aspects in their corporate management to facilitate commercial matching with chinese counterpart should invest on time in specific tools to improve their standards. 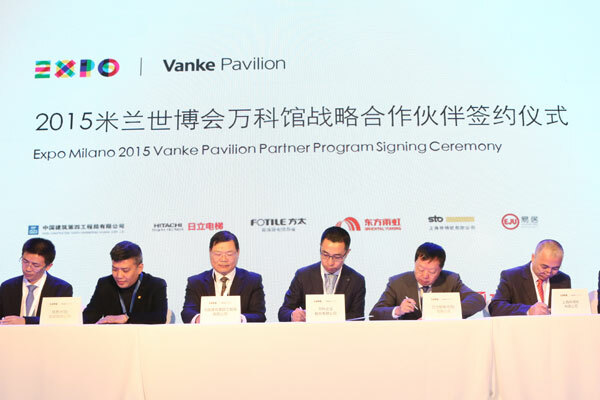 For example, it’s already well known as the italian private railways company NTV received recently the “Welcome Chinese Certification” official attestate of guarantee about the quality and number of services that the company can offer in Italy to Chinese guests. Viceversa the Chinese Tourism Academy, partnered institution and specialized institute under control of Party Committee of China National Tourism Administration(CNTA), in joint with Welcome Chinese Certification Association and key operators in the tourism field, is going to promote officially on chinese chain the sales of services and cooperation’s activities with those operators. As Studies Centre for oriental studies, our Asian Studies Group started two years ago trough our branches in main cities in Italy, on providing new courses in behalf of tourism operators (hotels, tour operators, recognized guides, transportation’s companies, agents involved in hospitality field etc). Recently we have introduced new specific module of Mandarin classes focused on speaking skills and intensive training about chinese characters pointed towards specific operators like tour guides. The program consist of 4 or 6 months of training (4 or 6 hours x week) and it aims to train attendants to pass HSK exam (levels 1-2-3) in very short period. Separately the centre offers some short courses about business culture and cross cultural communication for commercial operators or for those services companies are looking to Milano EXPO 2015 as new frame to boost B2b opportunities. As part of the same program we provide 1 or 2 days seminars to train hotels and restaurants about hospitality’s features, lifestyle’s elements, and specific characteristics of chinese guests according with regional differences of origin. – April: simulation of HSK exam and preparation for oral interview with chinese external teachers. In the same period our organization will introduce the institutions or corporates that joined our linguistic programs to Welcome Chinese Certification’s representatives. It’s also available Iper Intensive program that takes 4 months of classes and it aims to complete preparation around 6 week before the official start of Milano EXPO 2015. The dynamism about a new and more “towards Asia oriented” profile for corporate’s management in Italy drived by Milan EXPO 2015 could represent a new “era” not only for improvement of language skills achieved by specific operators but also for building of cross cultural scenario into social environment that for sure will have a part in the completion of business joint projects between Italy and China. Maybe the baton from Shanghai 2010 and Milano 2015 would be well represented by such goal. As italians we are well informed about agenda of activities that every day are going to make the schedule for next Milan EXPO 2015 full of participations. Usually we are more into updates that regard italian pavilion and public administration involved in dynamics of management and general organization for the most important event of the year than news concerning business opportunities linked with EXPO scenario. Beyond institutional participation and delegation that usually follow specific schedules according with standards of interest not always addicted to market – segments or operative business needs, I already collected some requests from specific associations and consulting firms as well as group of promoters for investment’s solutions and similar operators that are really up to introduce specific contents and develop mutual potential cooperation on commercial front with counterparts from different markets. 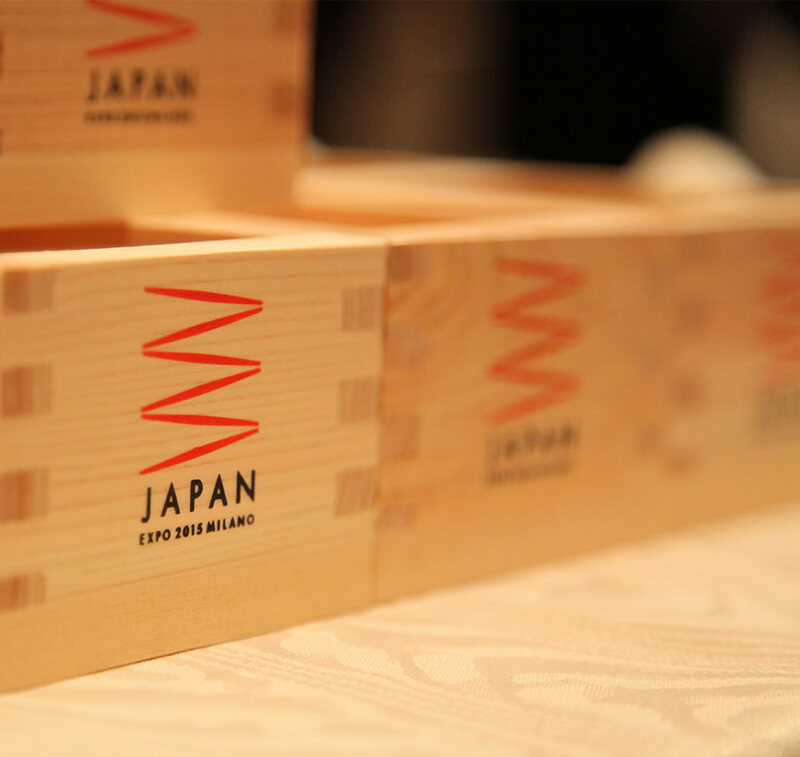 ‘Cause I’m specialized advisor with strong competence on eastern asia markets, and thanking knowledge on japanese and chinese languages, following such needs, as consulting studio, we are already getting busy on specific researches about participation of prefectures and regional delegation from East Asia. The purpose of such activity is for sure to identify concrete events that can represent good point of start for boosting services, involvement of volunteers, business matching for well framed operators as long as setting up nice framework to plan twinning perspectives for territorial administrations from both sides. Today we have completed our first selection of special contents / participations about Japan Pavillon and we are preparing official analysis about the presentation of Aichi Prefecture for contents and operators from this prefecture during 5 days in August 2015, when the events square of Japan Pavilion will host performances and contents from Aichi end in particular from the main city of Nagoya. At the moment the organizers are expecting to introduce around 40 organizations from Aichi and the new has just been introduced as official announcement from website of the prefecture recently. Honestly we didn’t find more details on websites and official channels managed by organizers of Milan EXPO 2015 (Italian and english version) about such micro – attendance in August and due of the intense planning it would be for sure difficult monitoring so many contents but as japanese side is already collecting participations and interests to finalize delegations profiles, I think it is really important getting ready to select functional opportunities on time. We are going to introduce more well detailed info about those delegations from East Asia that we consider interesting to approach and meet with direct cooperation ‘s opportunity during the Universal Exposition of Milan 2015 as we invite you to send us comments or introduce your profile (as organization or company) if you want to get in touch with my studio and network of structures involved in these dynamics in Milan.